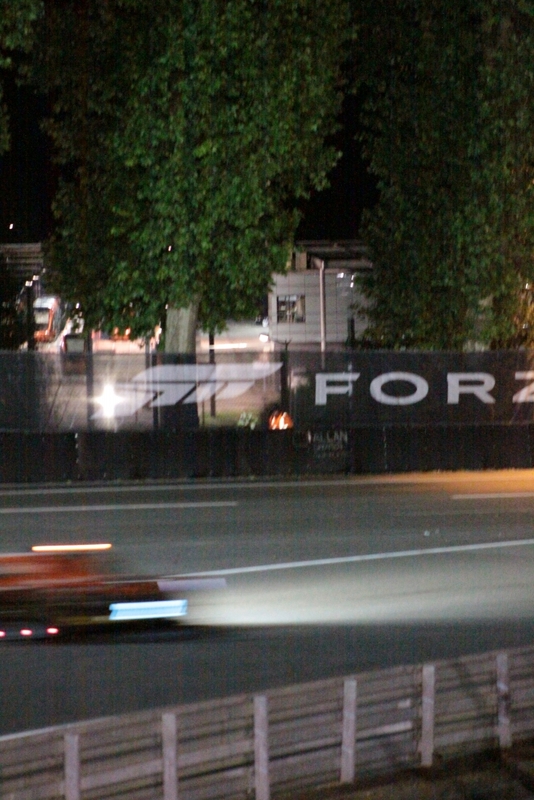 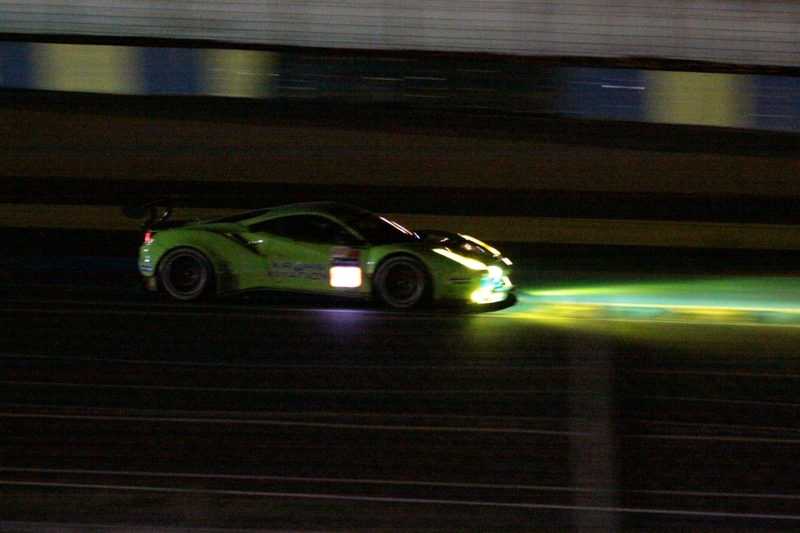 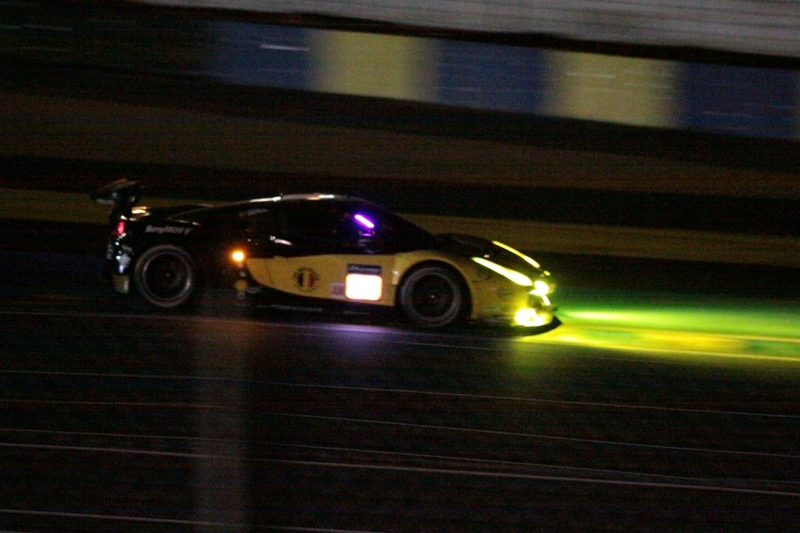 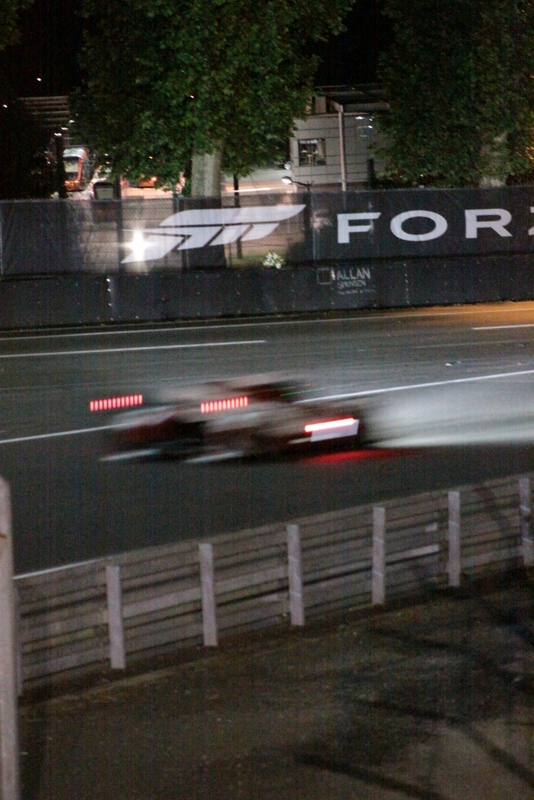 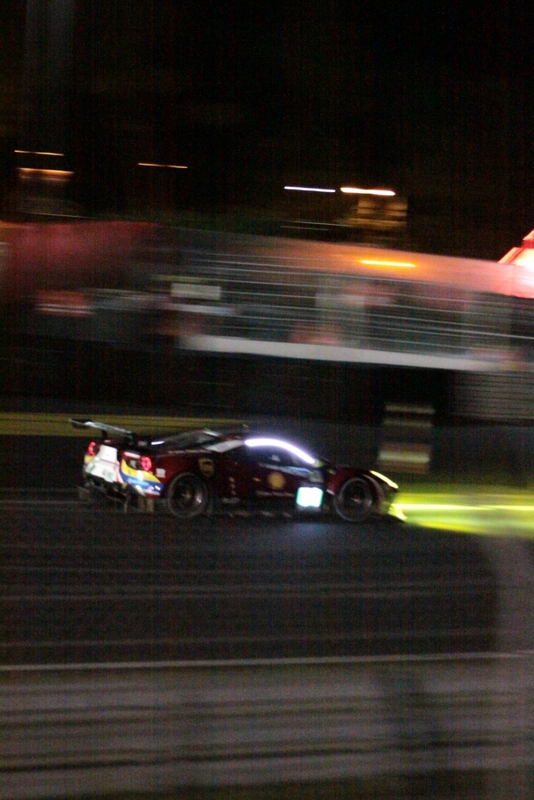 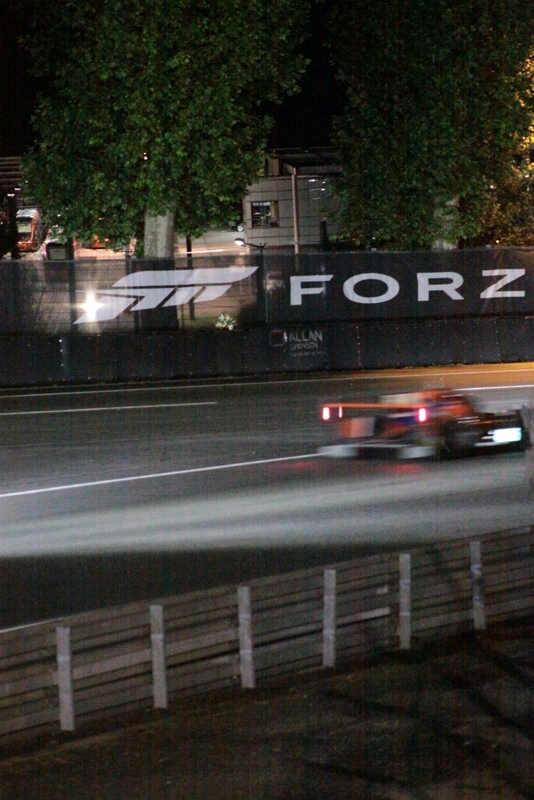 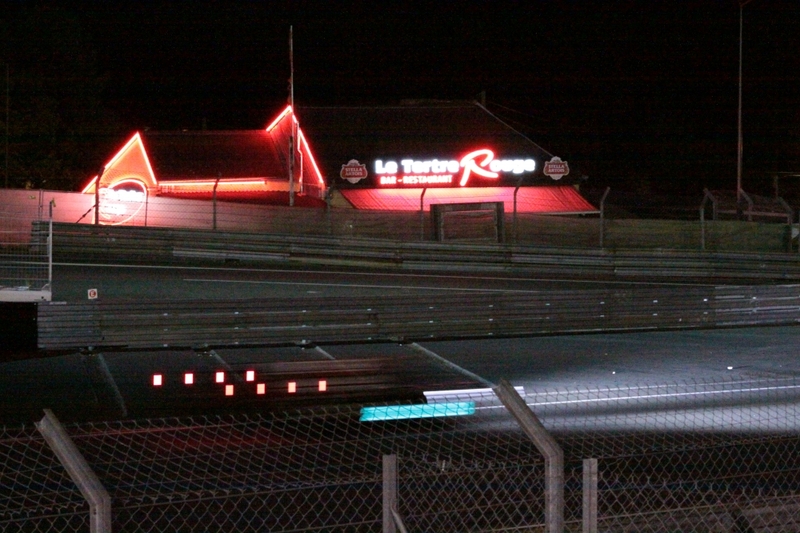 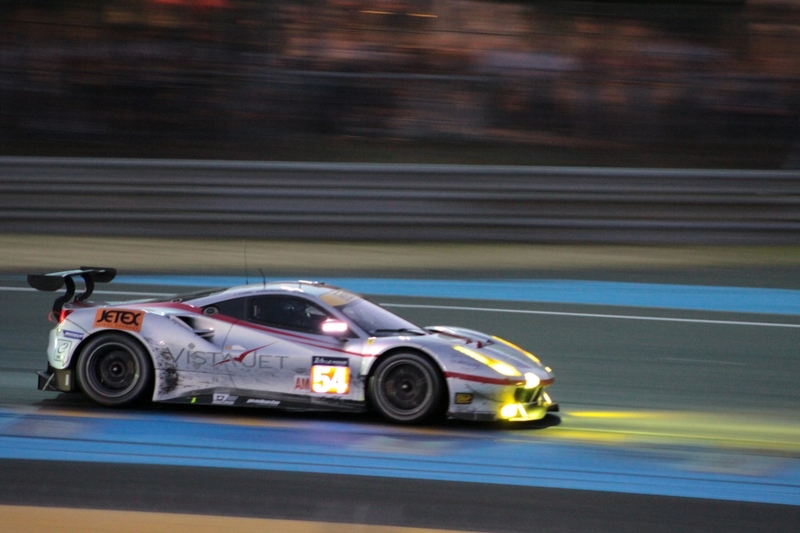 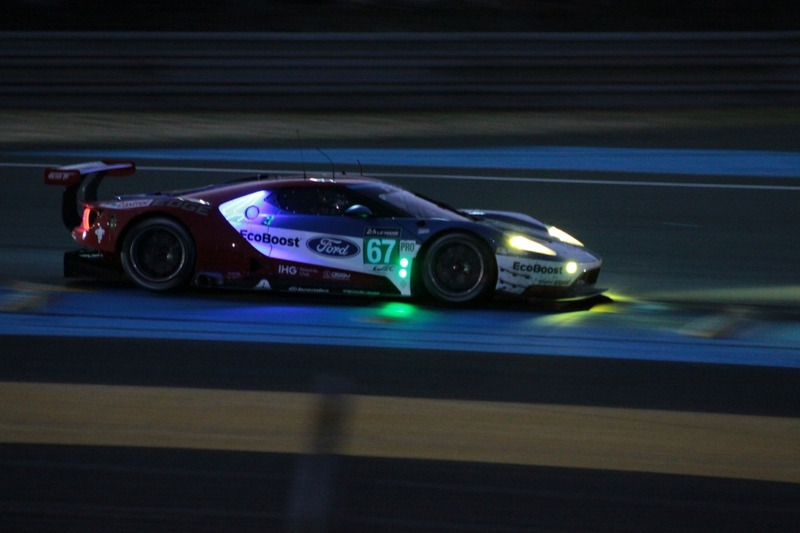 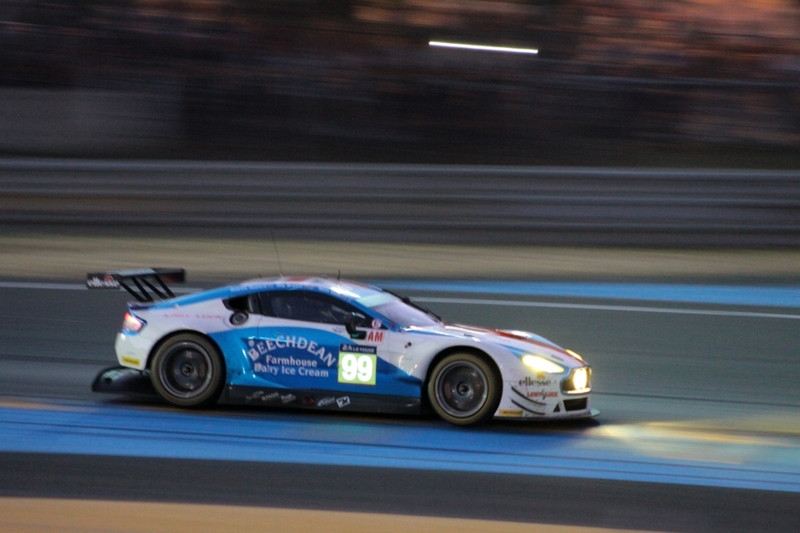 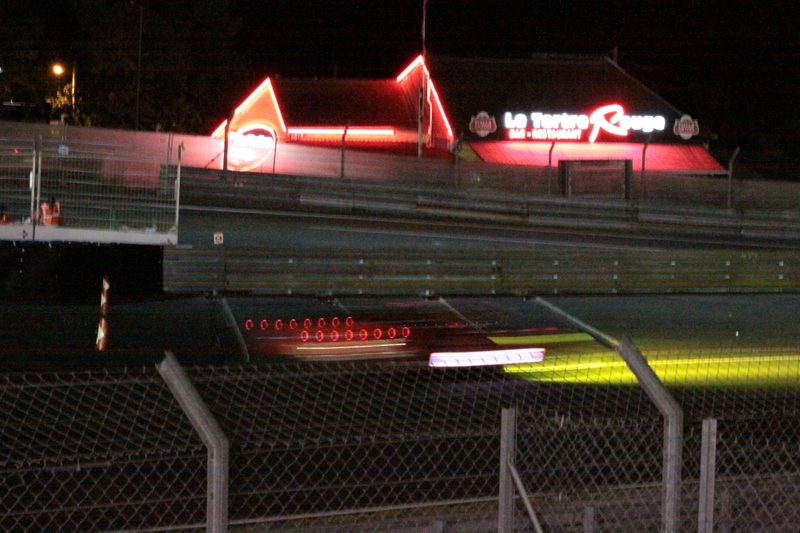 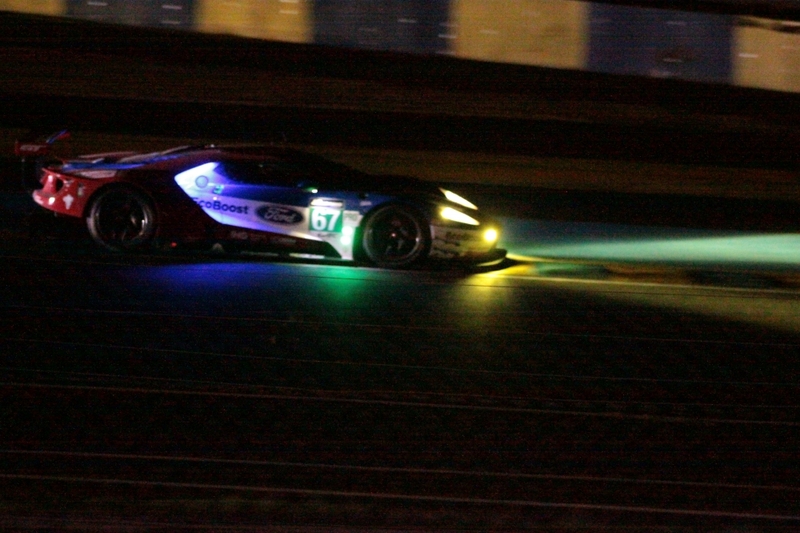 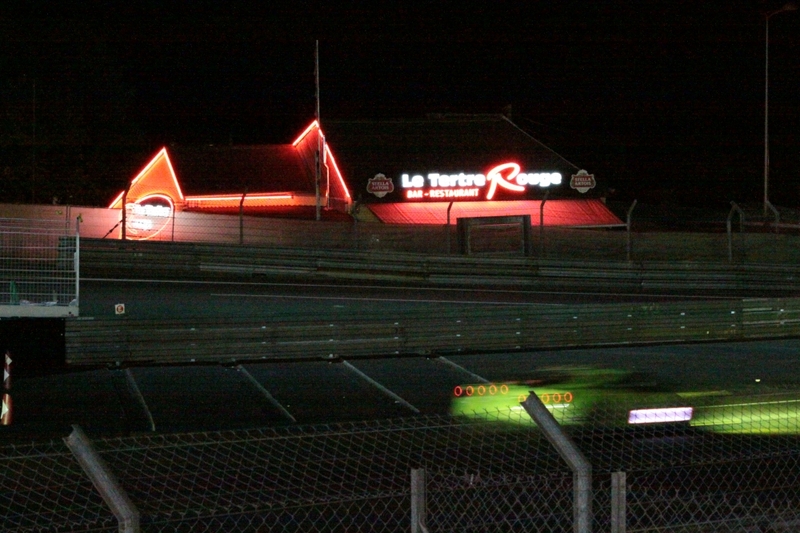 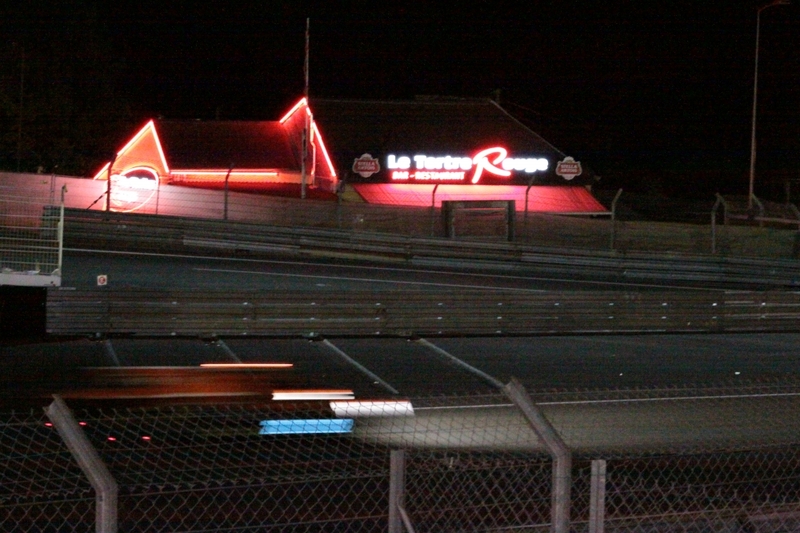 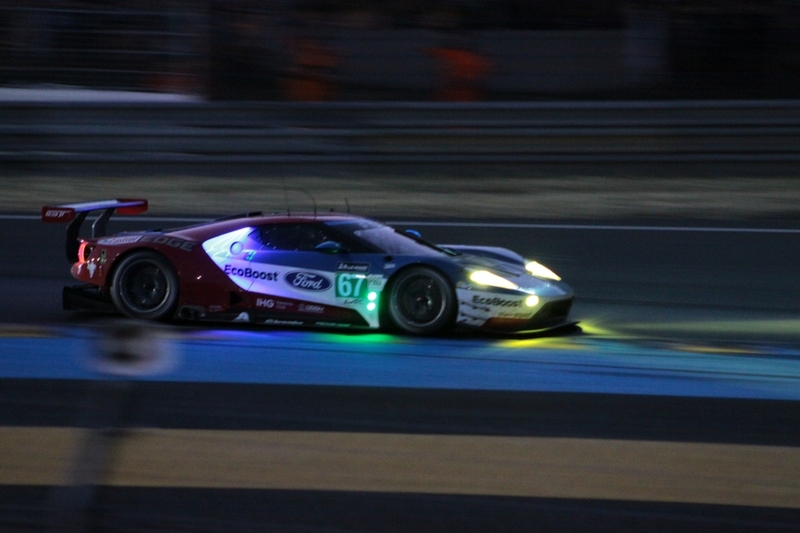 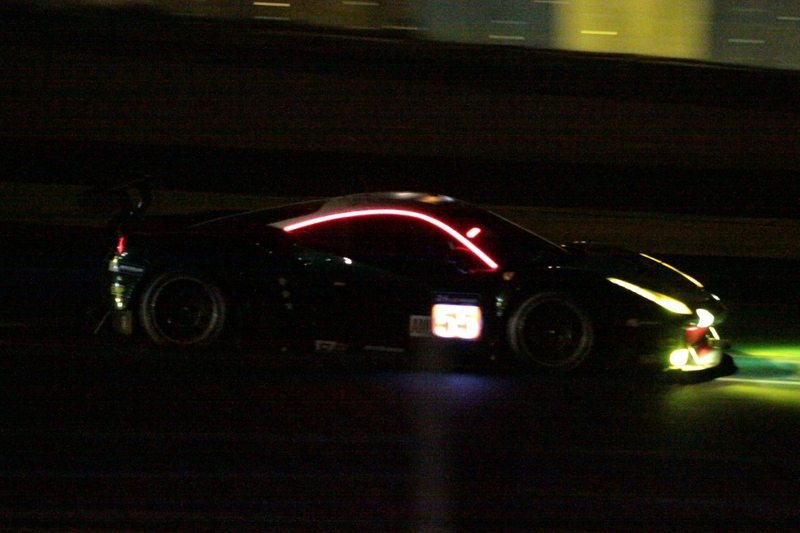 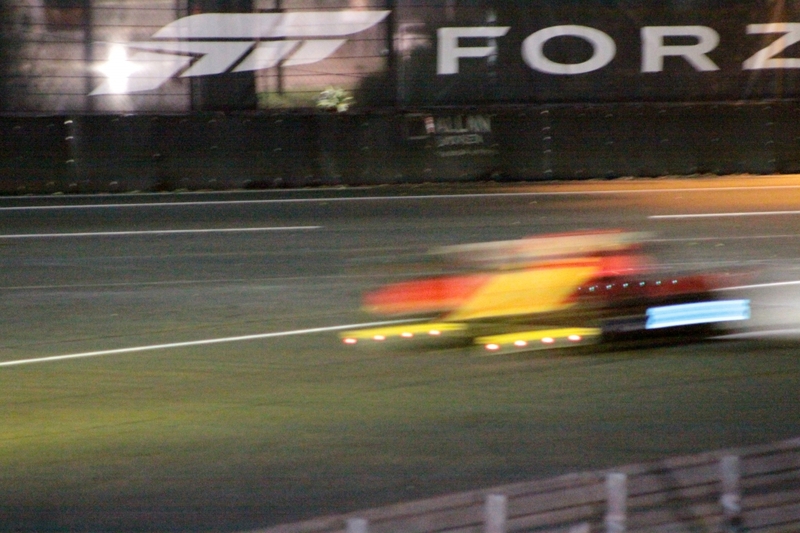 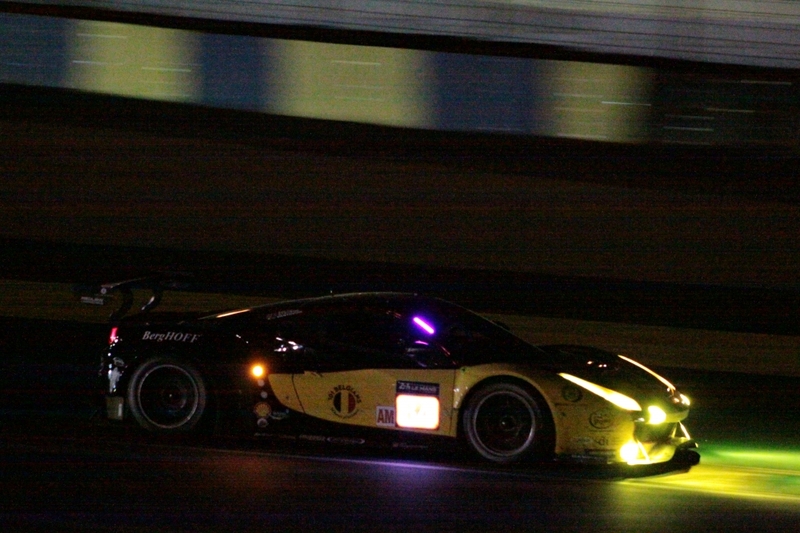 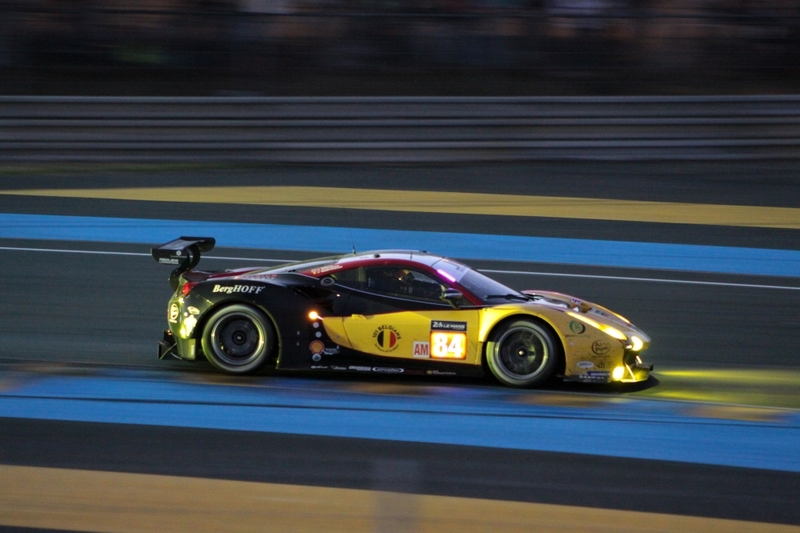 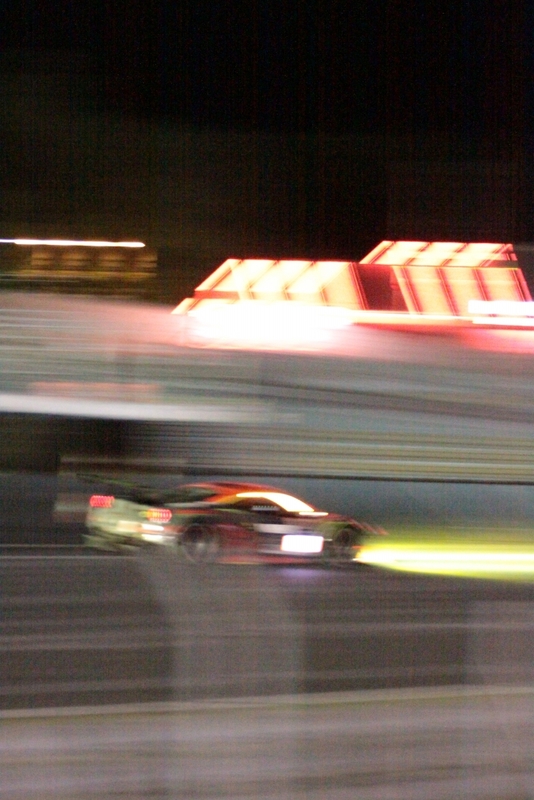 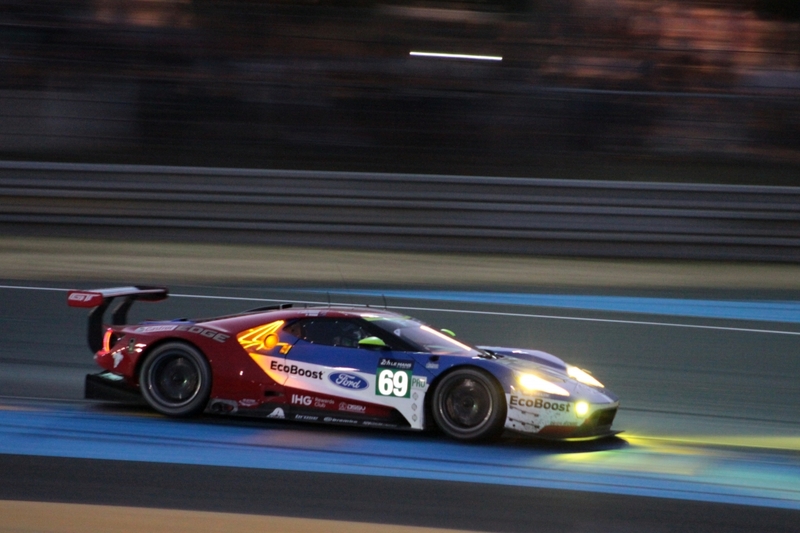 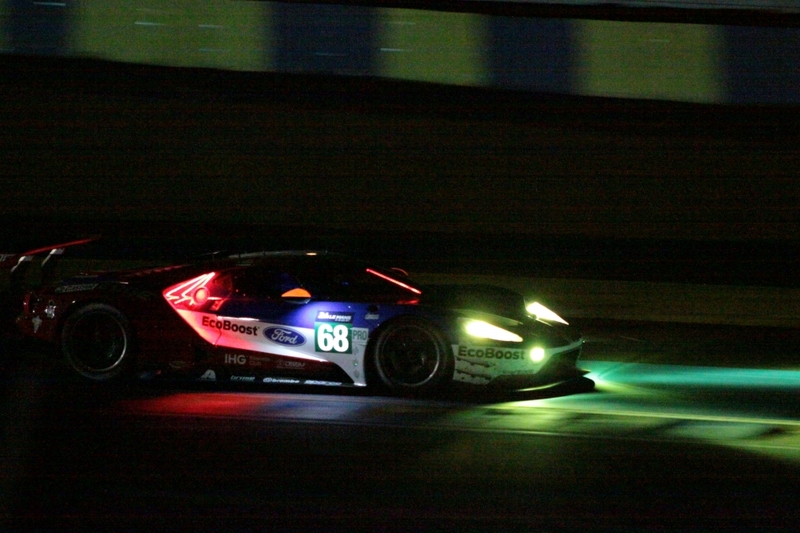 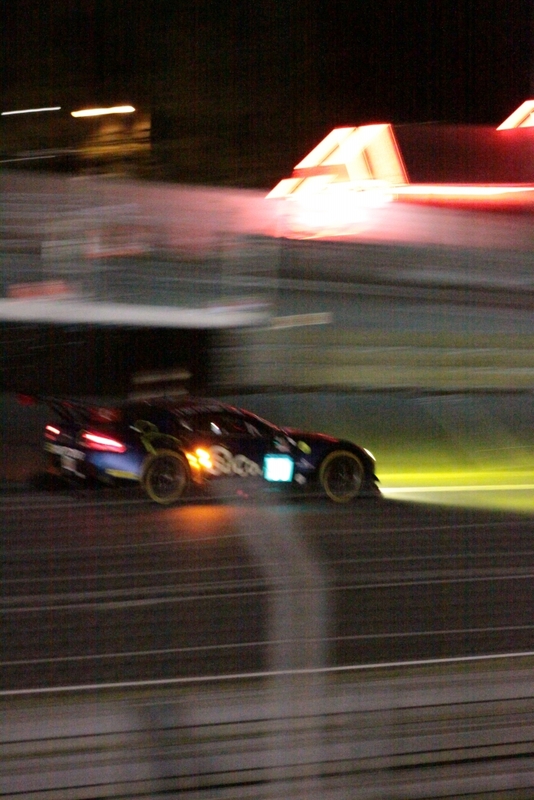 The session down at Tertre Rouge on the evening of the race is one we have done now many times. 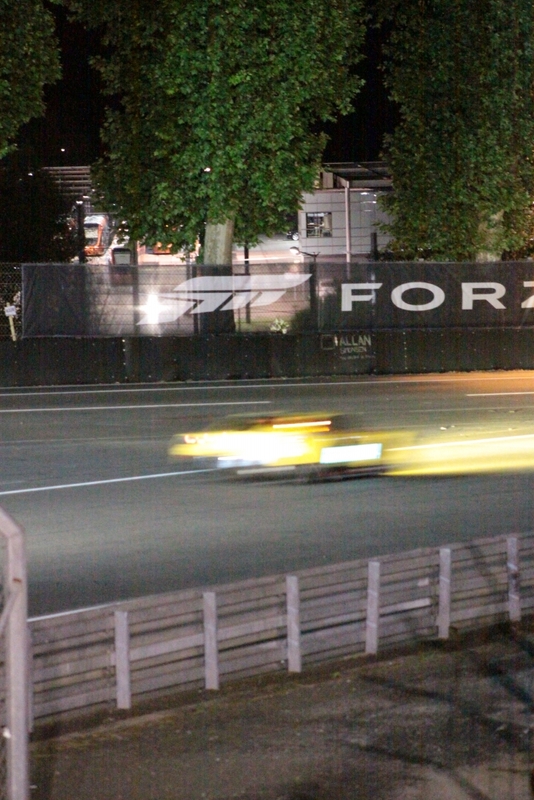 It is undoubtedly one of the best places to watch the race on the entire circuit (or those parts that you can easily and legitimately get to). 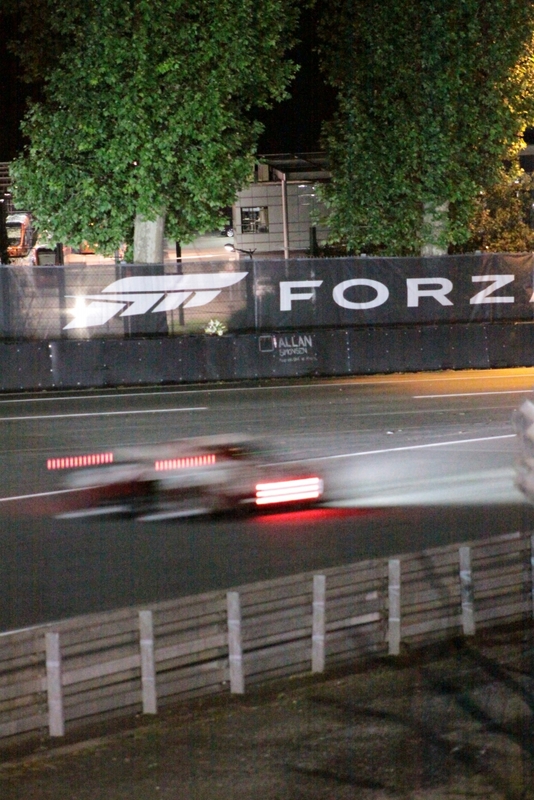 By the time we got there, the race was into its second quarter and the battles and the likely candidates for honours were already becoming clear. 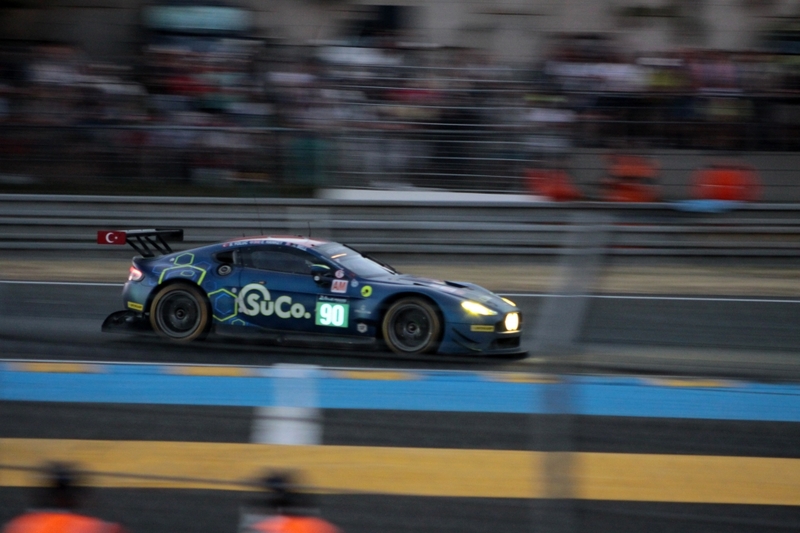 The inside of the corner is a brilliant place to watch the evening draw in, with the sun gradually disappearing and day turning into the magical night of Le Mans. 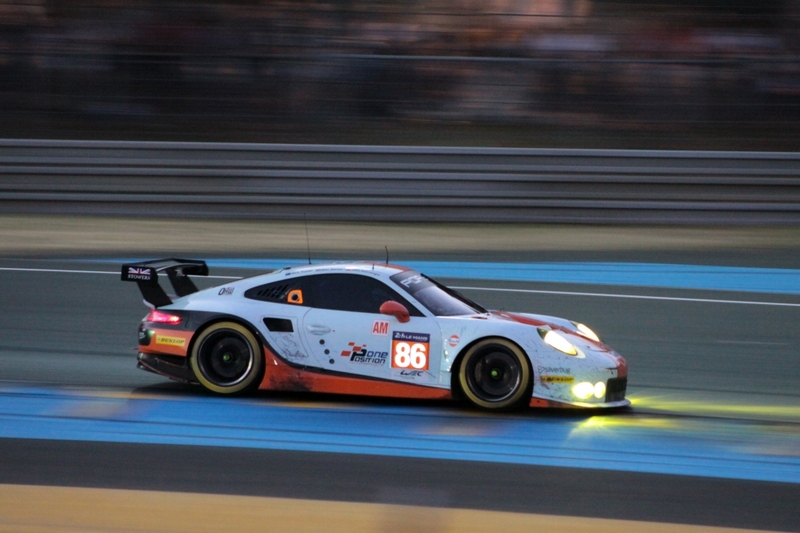 By this time of course, Porsche were effectively one down, the #2 car having spent an hour in the pits with some form of battery malady that required major repairs. 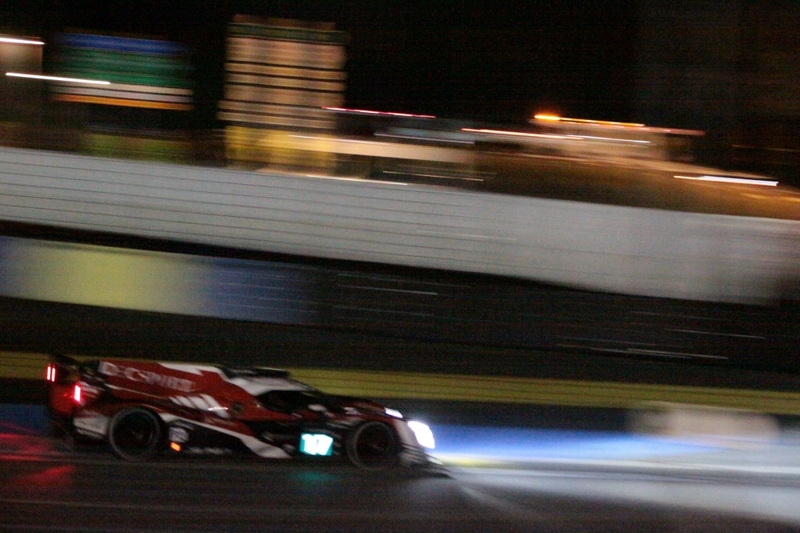 Shortly after we settled in however, the #8 Toyota was also in for a long stop, seemingly for similar reasons. 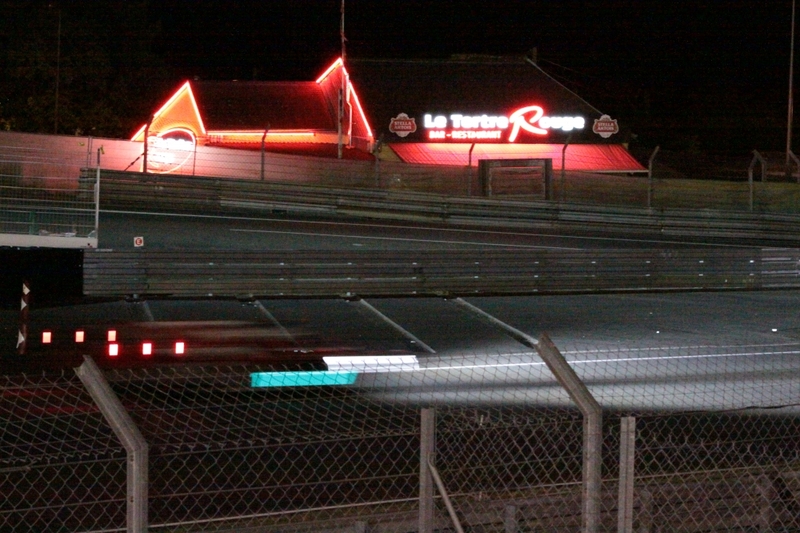 We continued to watch from various viewpoints along the banking at Tertre Rouge until about midnight at which point we decided to walk back up the inside of the circuit to get a coffee at the Espace Club as after the heat of the day, even though it wasn't cold as such - not as cold as it has been here in recent years - there was the beginning of a chill in the air. 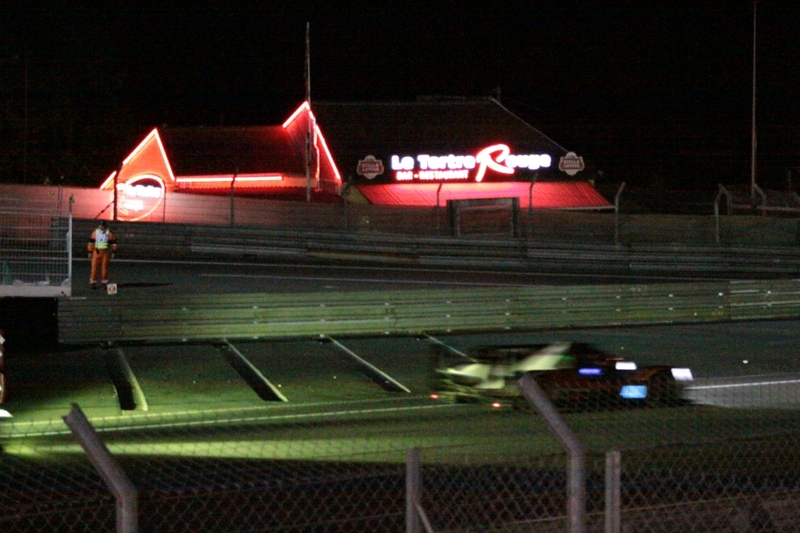 As I always do, I took quite a few photographs and a little bit of video at Tertre Rouge and the results were about as successful as usual! 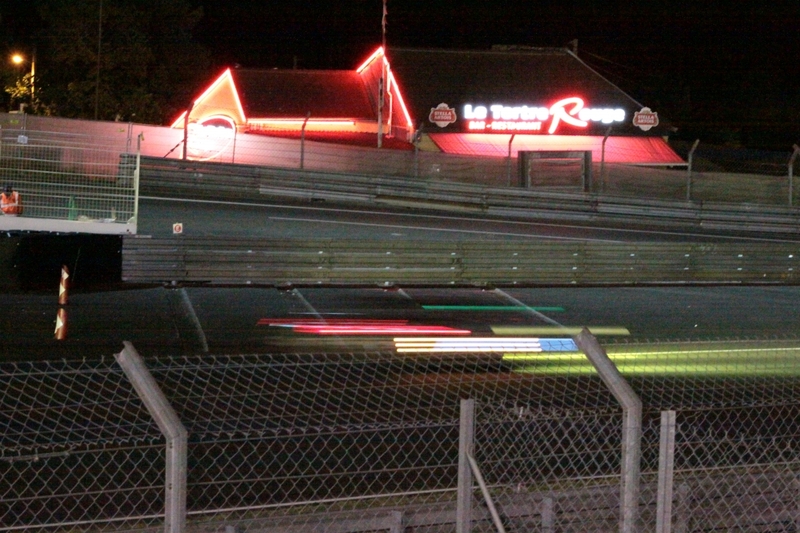 We walked up to the Espace Club and got some hot drinks and then went outside with them to watch the race on the big TV out there in the 'garden'. 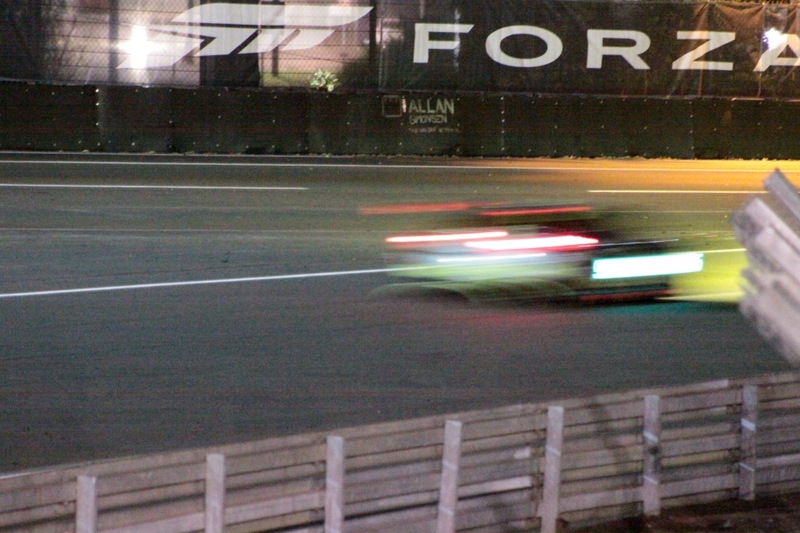 We had absolutely no idea of the dramas that were about to unfold before our eyes over the next few minutes. 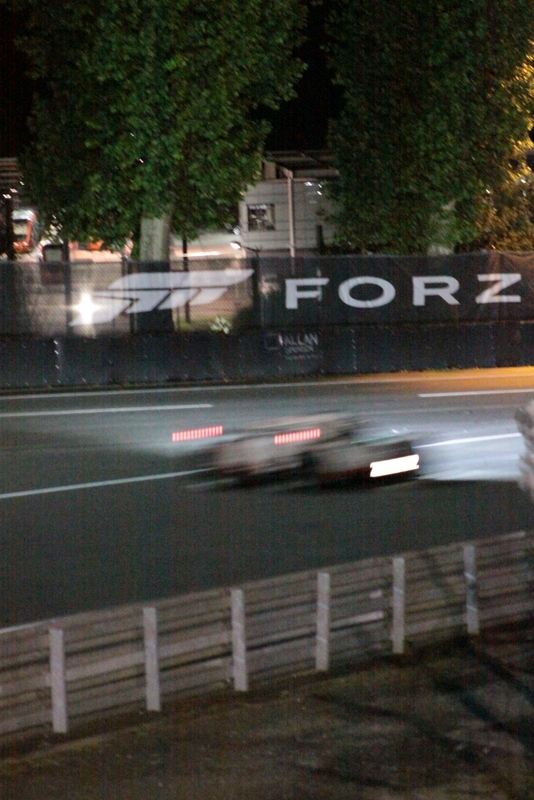 There was a safety car period, I can't remember now what for, however when the #7 Toyota left the pits it seemed to have a transmission problem. 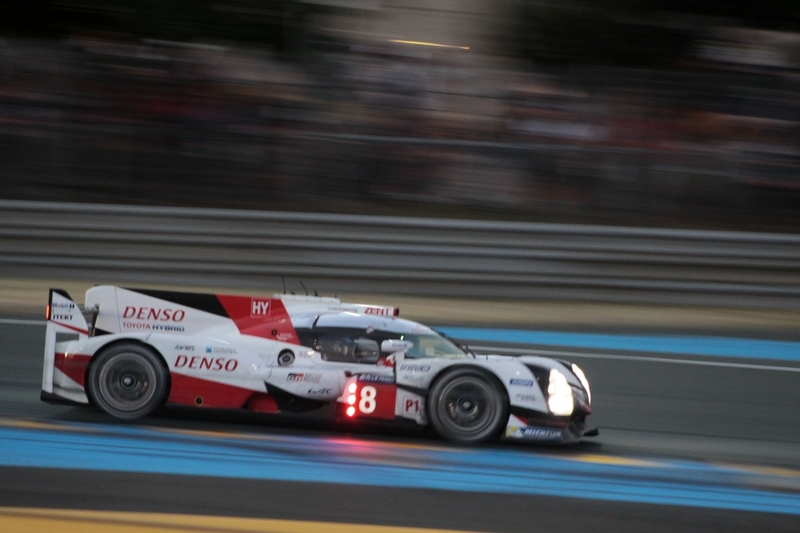 The #8 Toyota was of course already well out of contention after a 2 hour pit stop. 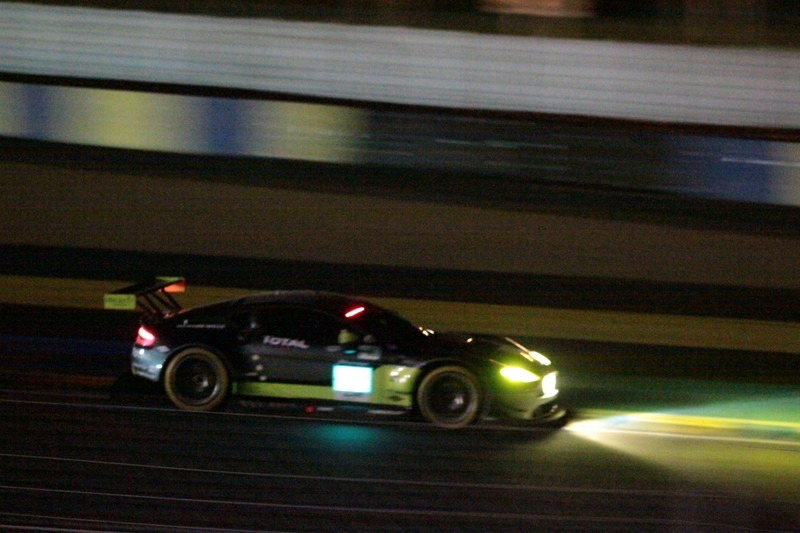 Kobayashi was unable to get the #7 back to the pits, which was a huge disappointment and so all eyes then transferred to the #9 car which had suddenly become Toyota's remaining chance of winning the race, but that car was running a lap down on the #1 Porsche and needed either some more speed or problems for the Porsche to aid it's cause. 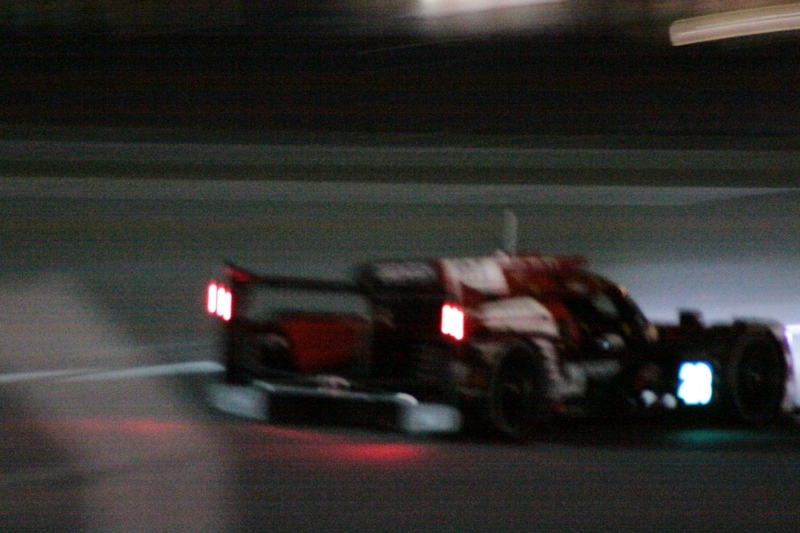 Kobayashi meanwhile had quit his stricken car and within just a few minutes of that happening we learned of a big accident for the #25 Manor Oreca. 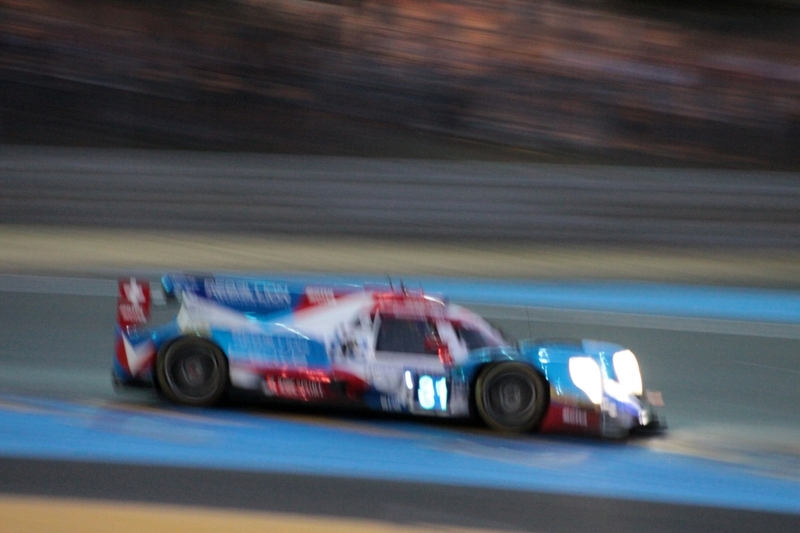 As the TV cameras homed in on that, the awful realisation swiftly dawned that Lapierre was running slowly with a puncture in the #9. 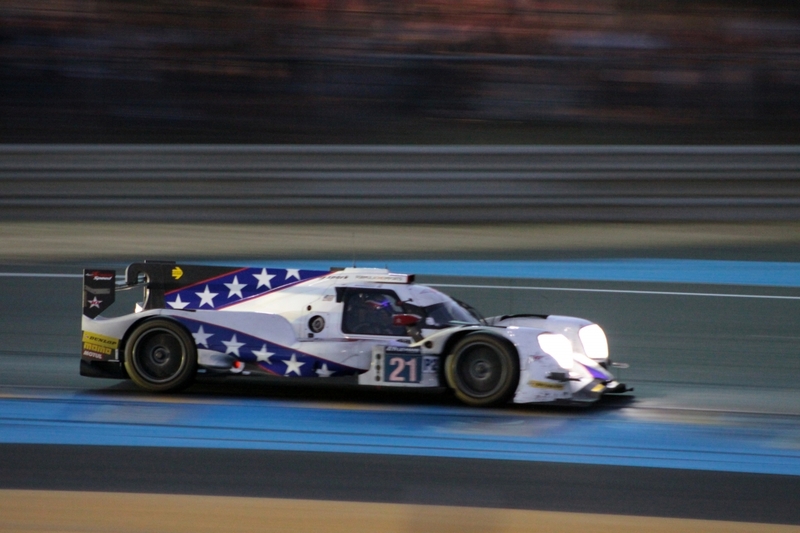 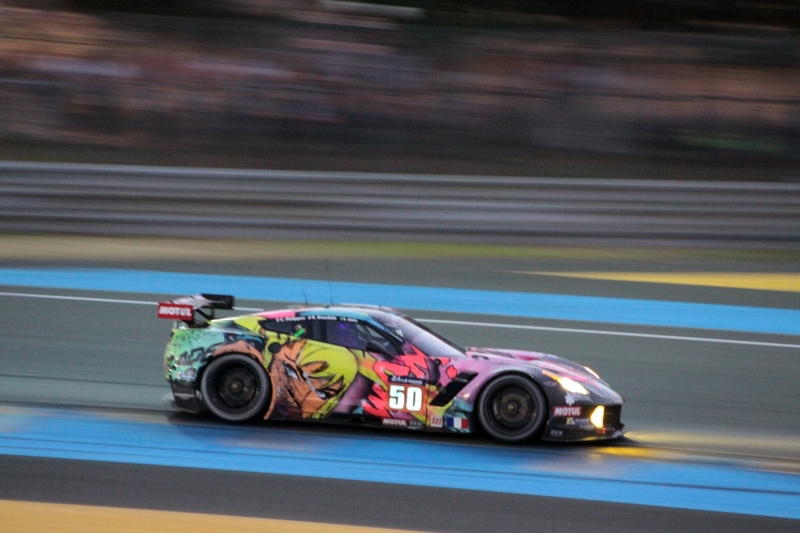 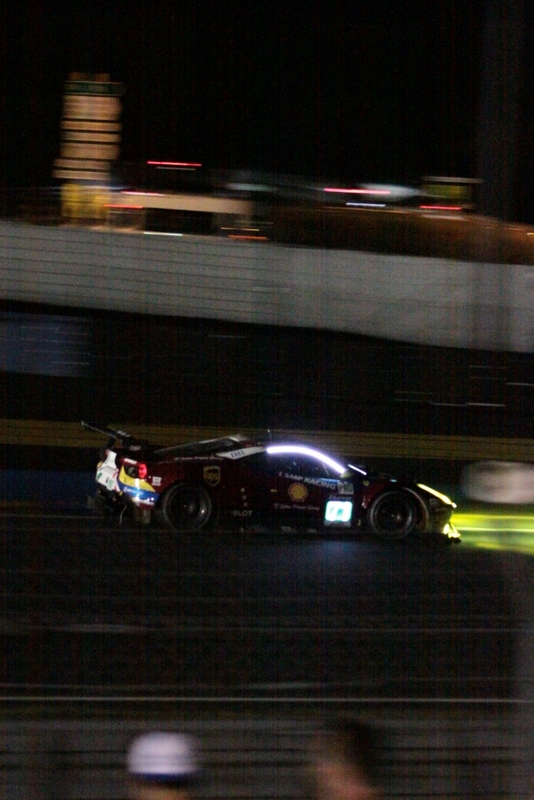 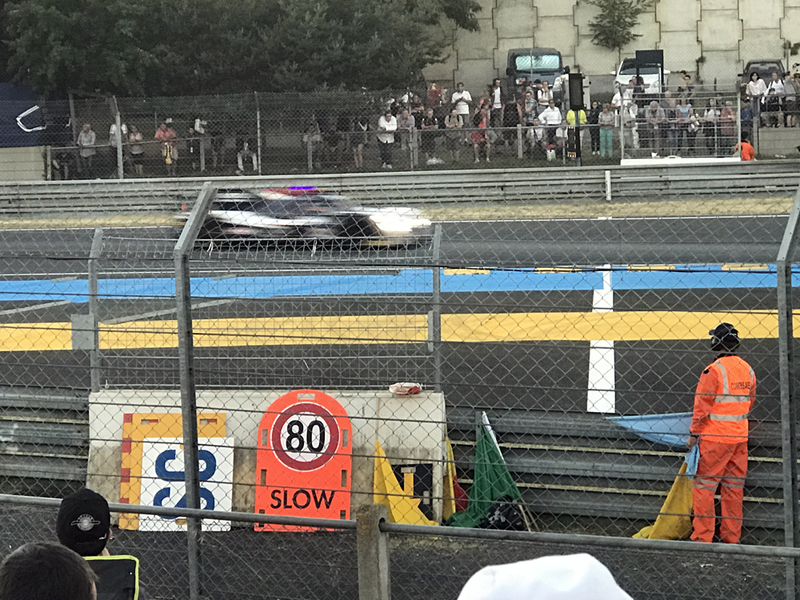 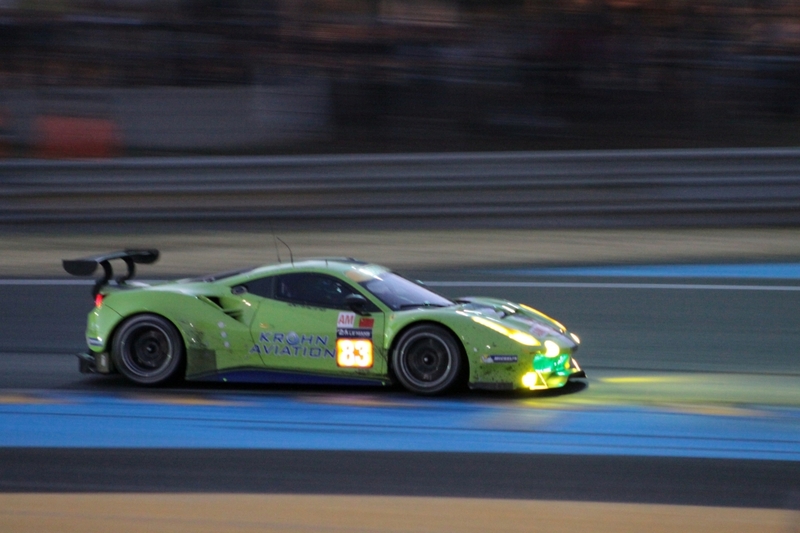 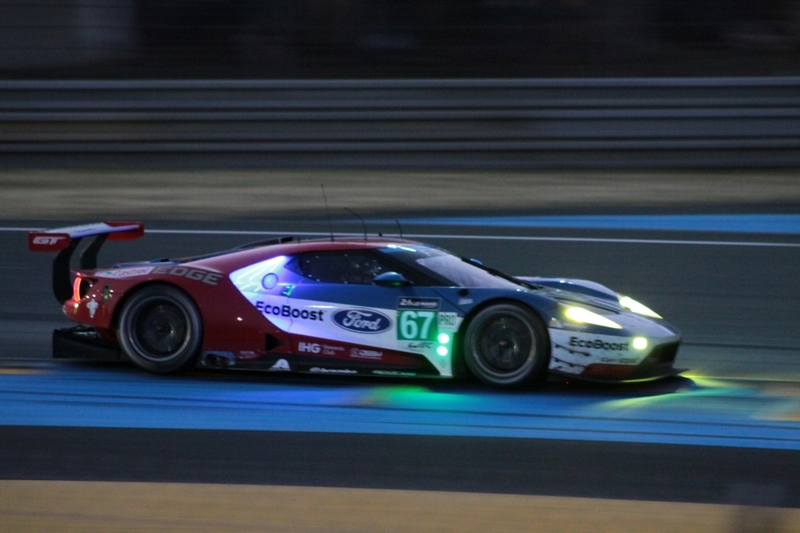 It didn't take long to put two and two together.... We sat and watched, completely stunned as Lapierre sought to bring the car back at what seemed like a suicidal pace with the flailing tyre tearing chunks out of the bodywork, eventually catching fire. 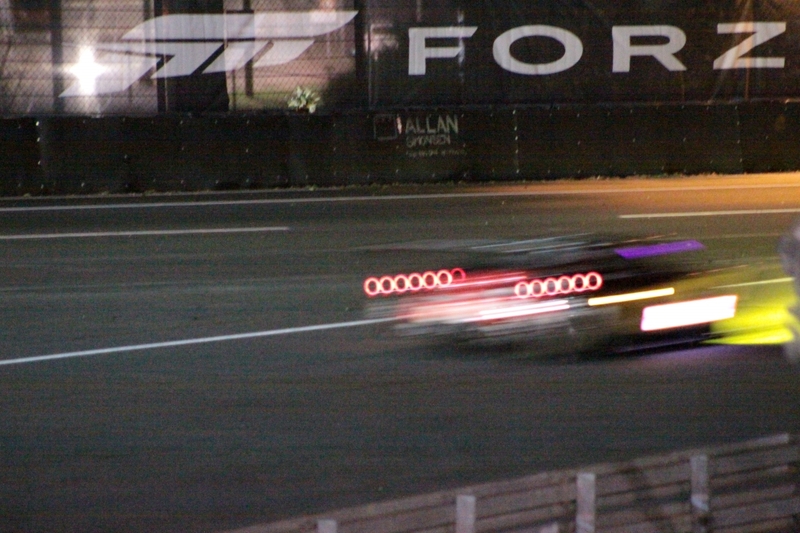 (It later transported that he had little control over the speed as the car was stuck in gear). 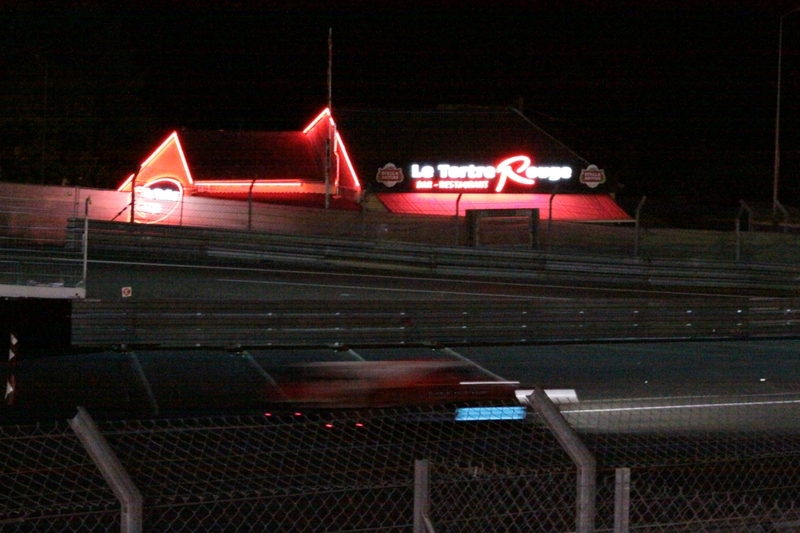 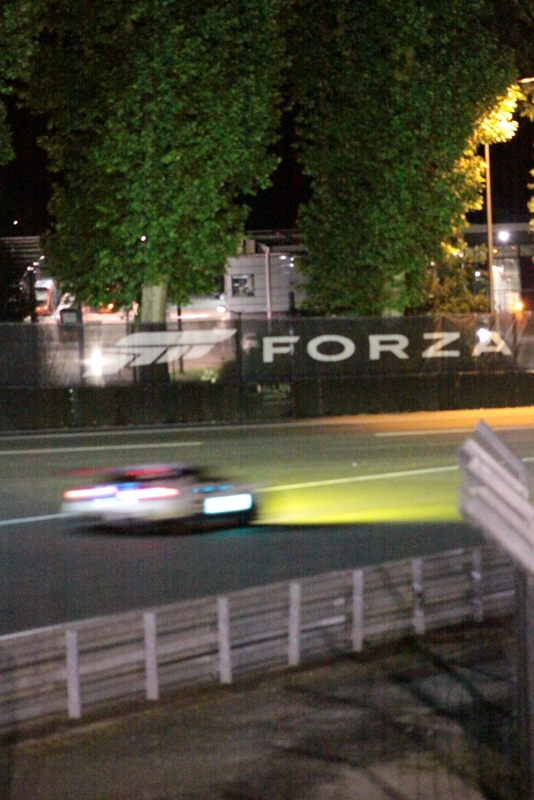 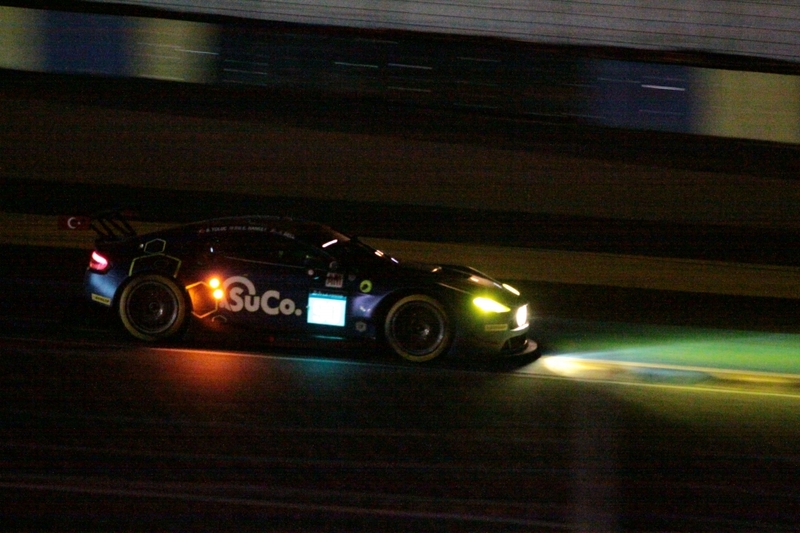 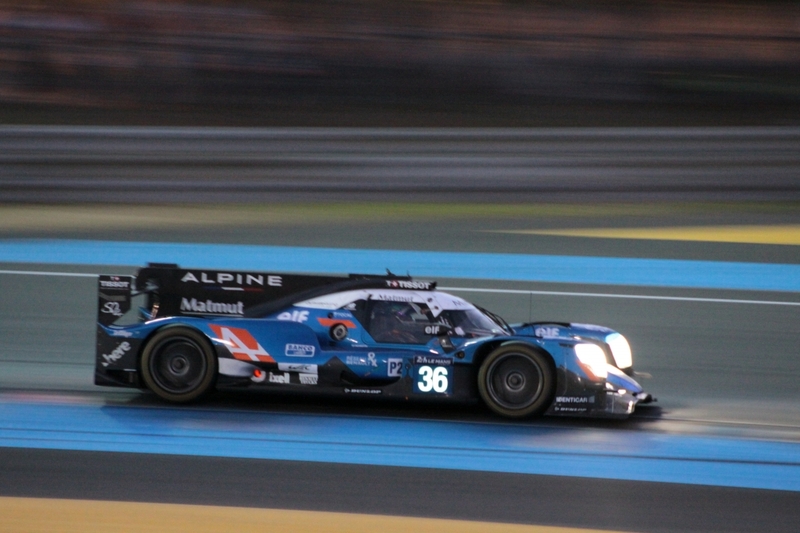 Just before 00:30, having desperately tried to get the Toyota back to the pits, Lapierre was instructed to abandon the car in the Porsche Curves. 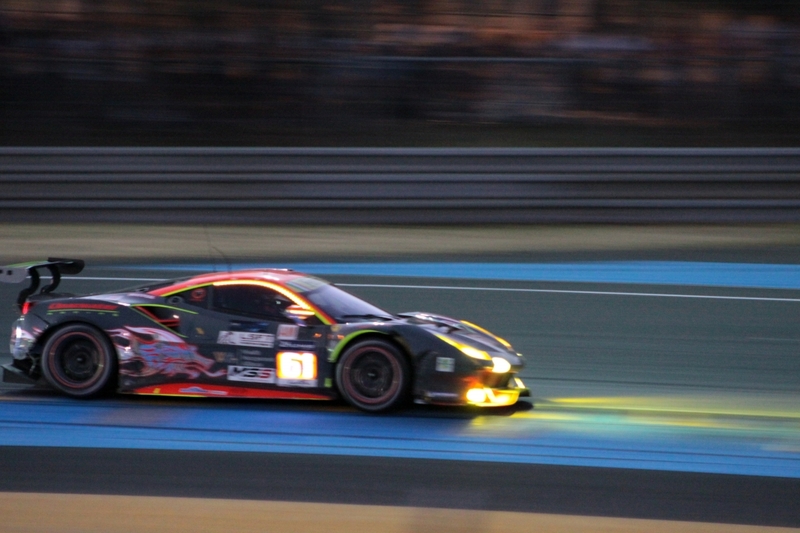 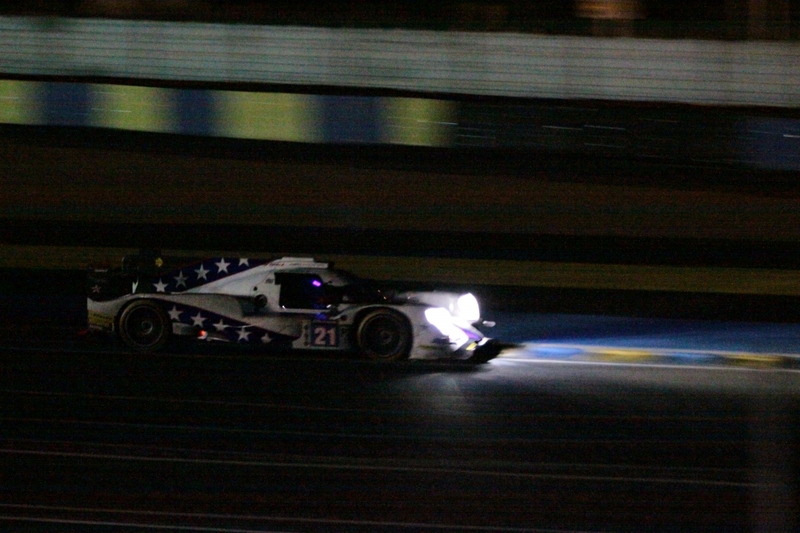 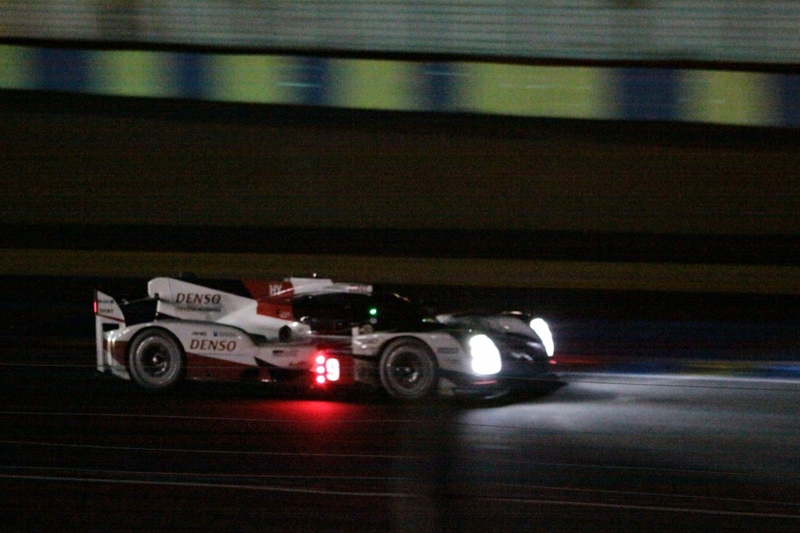 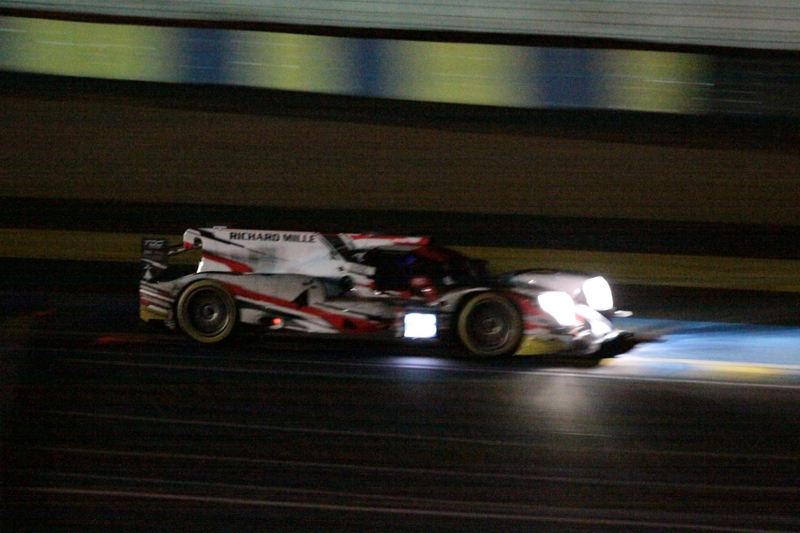 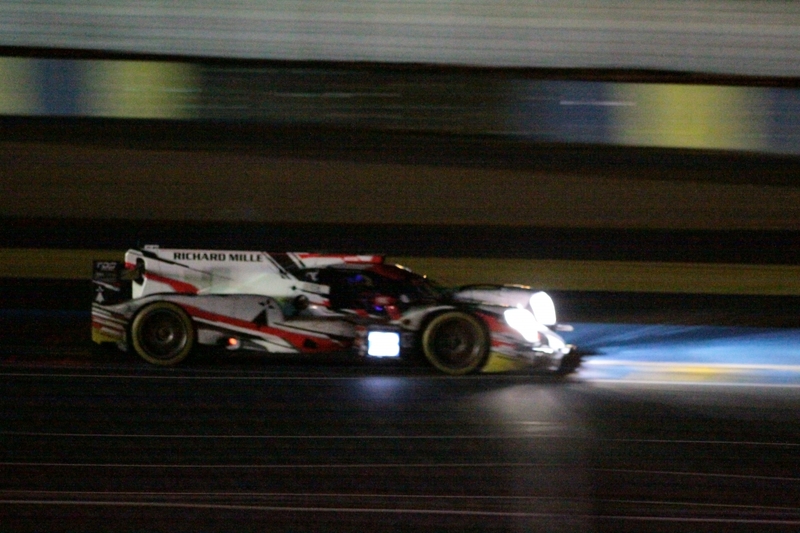 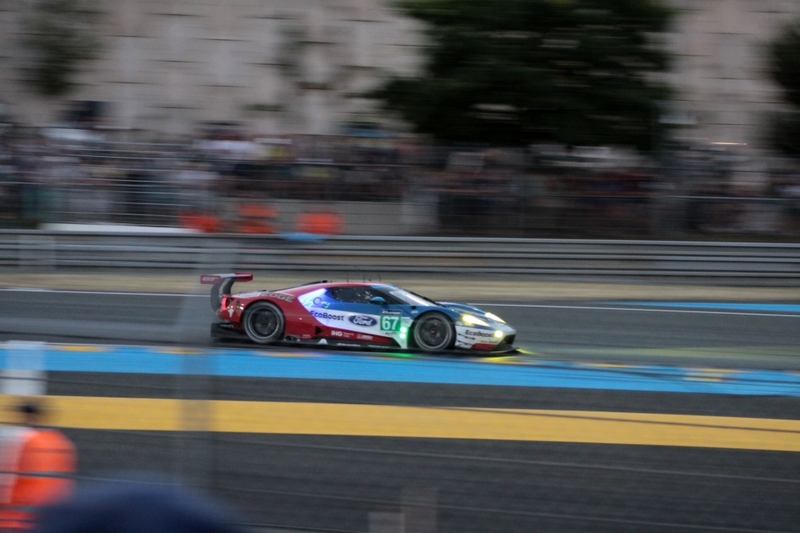 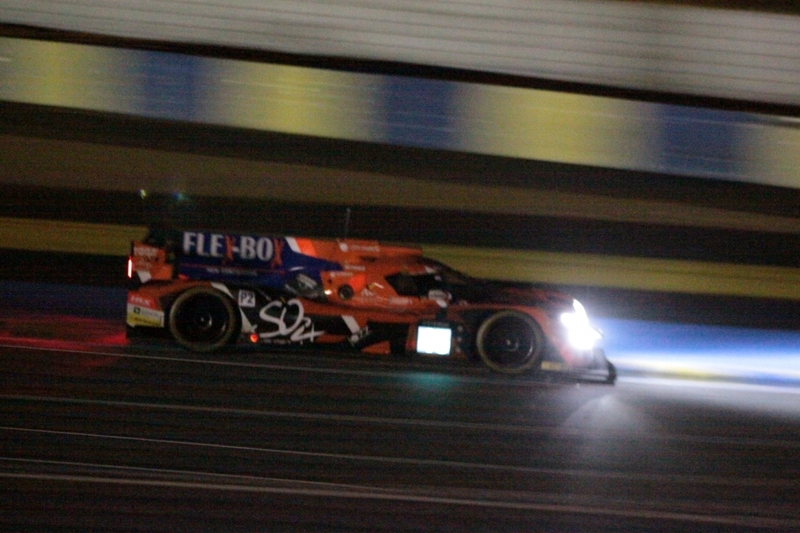 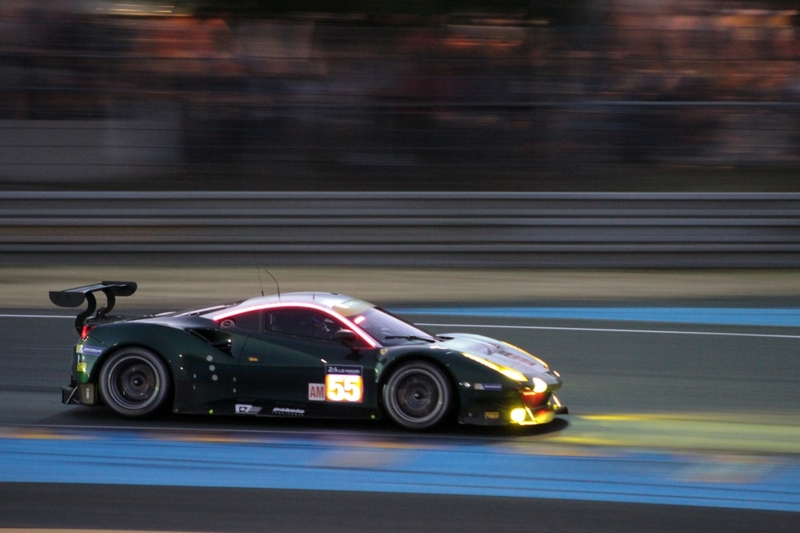 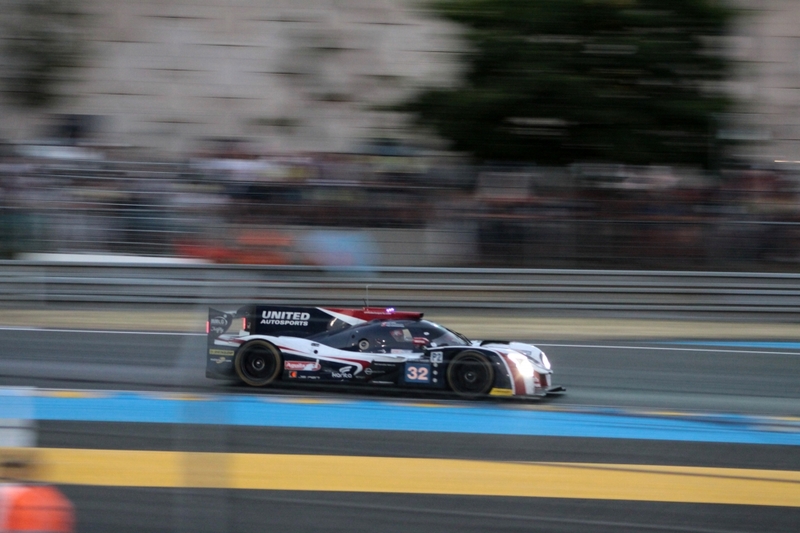 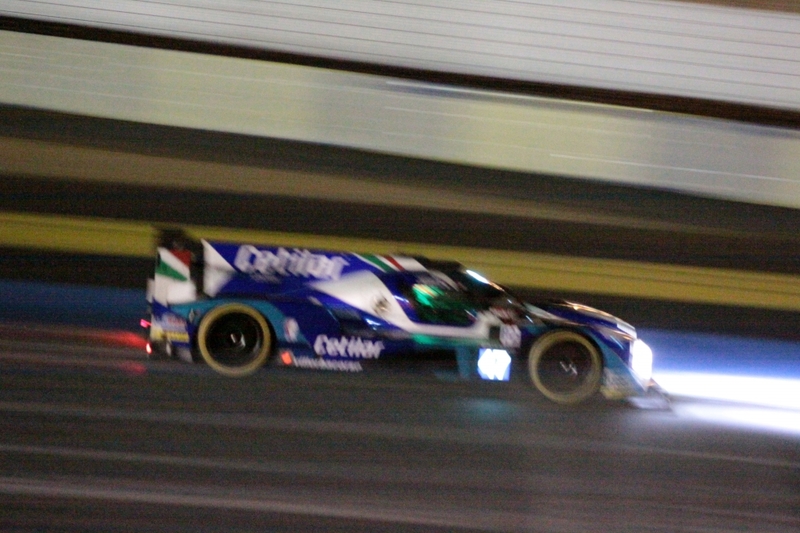 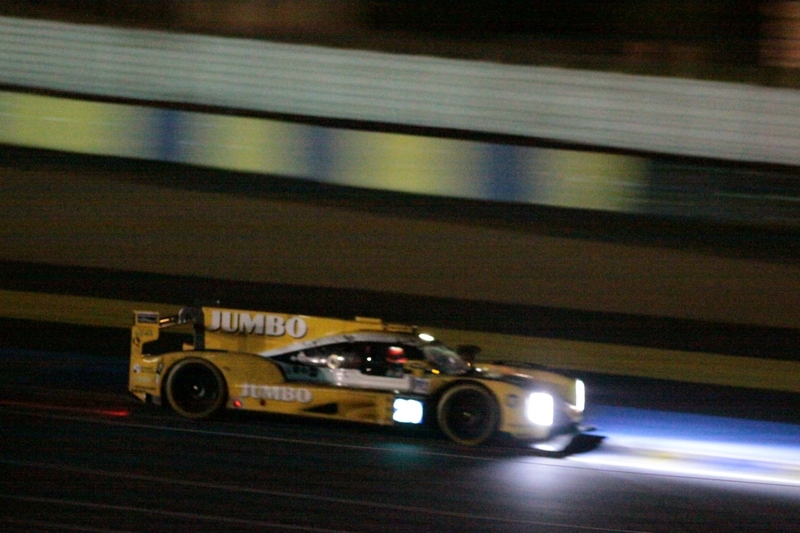 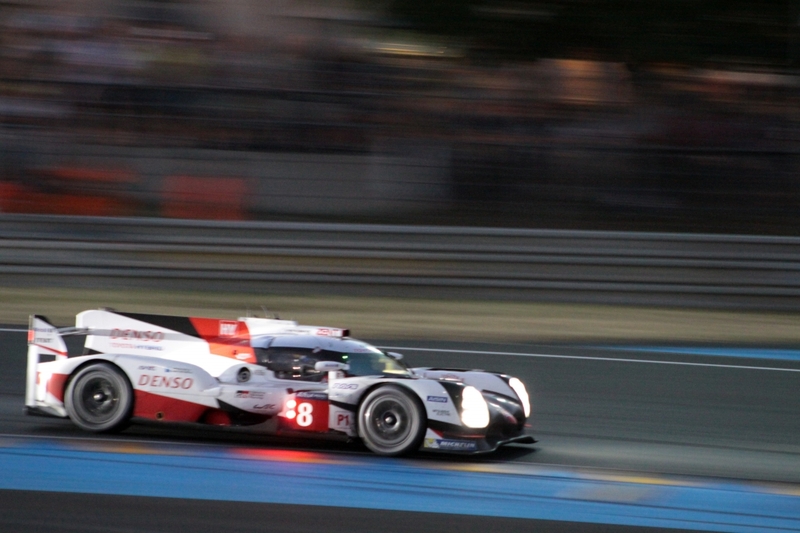 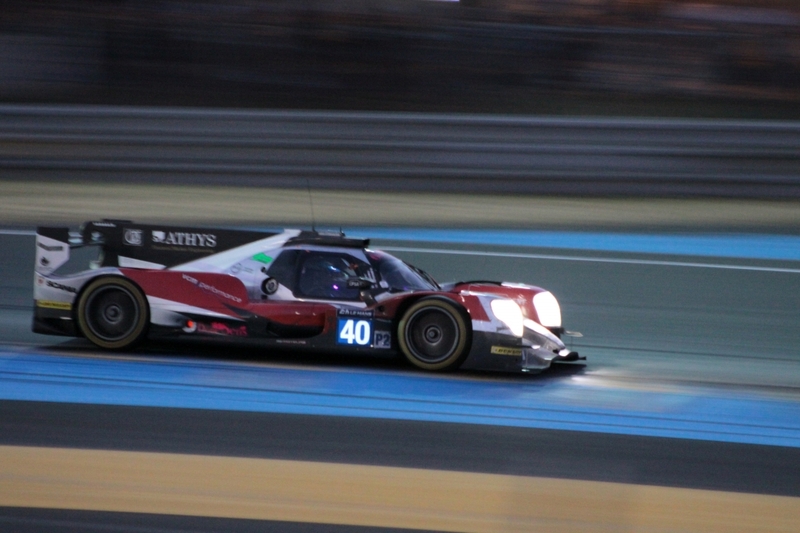 Toyota's challenge for a win at Le Mans was again over yet again.